…and all from Diageo, the undisputed king of the mainstream; the kind of place you imagine the phrase “surplus to requirements” and the word “streamlining” coming up a lot. The first in the new Select Casks line, Rye Cask Finish is a blended scotch with a heart of Cardhu single malt, aged in first-fill American oak casks for at least 10 years, and then finished in ex-rye whiskey casks. The result is bottled at 46% ABV. Striking a triumphant balance between massive-scale industrial whisky and small-scale craft mentality, Rye Cask Finish is available for only $45 retail. I was able to find it recently at Costco for the phenomenal price of $30! Nose: Wakes up a little hot – a few minutes in the glass settle the alcohol and allow for a deeper nosing. A nice, round grain-forward profile including breakfast cereal and toasted whole grain bread, coconut shavings and molasses. There’s a lot more oaky sweetness (as opposed to malty sweetness) than one usually finds in a blended scotch. Palate: Soft and syrupy. Moderate tongue burn, which finally recedes into a heavy coconut (like Redbreast 12) oiliness, and spicy cinnamon and clove. Finish: Medium-long. Drying, with some oaky tannins but a larger emphasis on caramel and – dare I say it? Pumpkin spice latte. Fades with a black coffee-like bitterness, the one disappointment. With Water: Aroma seems unchanged by a few drops of water. The effect on the palate is calmer, and brings a touch more sweetness. Water is optional with this one, but with the “roughness” of the alcohol bite, you might consider proofing it down slightly. 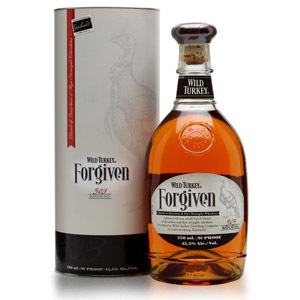 Overall: An interesting, and successful, blending of the “sweet and syrupy” effect of Scottish grain whisky with the robust flavor of malt whisky, and the spicy/oaky character of those two quintessential American whiskeys: bourbon and rye. While most scotch is aged in ex-bourbon casks, the first-fill casks chosen for this blend are very prominent in the final product and deliver a wallop of coconut. The finishing in rye casks was equally successful, with a sparkling spiciness on the tongue which integrates nicely with the other components. The only down marks come from the splintered finish, which starts out promising “pumpkin spice latte” and then goes full “bitter black coffee”. At $45, a reasonable choice. At $30, a steal, and a Must Try. My introduction to scotch was through JW Black… I do have a fondness for the Double Black and I really enjoyed the old Gold, not so much the newer Gold Reserve. When I saw this release, it intrigued me, but I’m not big on Rye so steered clear of it… Though I really like a sample of Canadian Royal XR I tried and liked a sample from Flavair of Woodford Reserve. How would the JW Rye Cask compare – if it can? So the rye here is entirely different from Canadian rye (which usually has very little rye in it, unless you’re talking about Lot 40 or one of the other 100% rye whiskies). 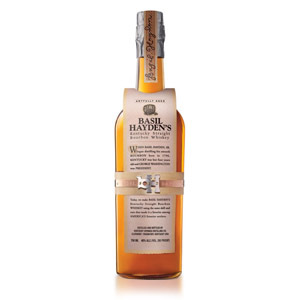 Canadian blended whiskies (“ryes”) tend to be very soft and sweet and not particularly spice-heavy. American ryes tend to be very much like bourbon, but with a lot of cinnamon/spice or piney notes. Scotch is almost always aged (at least partially) in bourbon casks, so the rye jump is not all that unusual, as rye and bourbon are often very close in style, and can be interchangeable in cocktail recipes. I suggest that you think of this as a really nicely-balanced Johnnie Walker with a little less smoke, but a little more “pumpkin pie spice”. 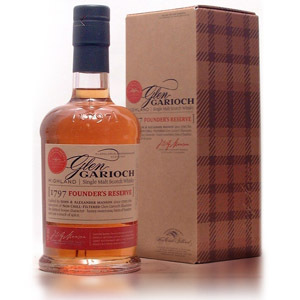 I like it better than the Black, personally, but I would only compare it to other blended scotches. Cheers! Ahh, good ‘ol Johnnie Walker. This is our uncle/father/grandfather’s Scotch whiskey. 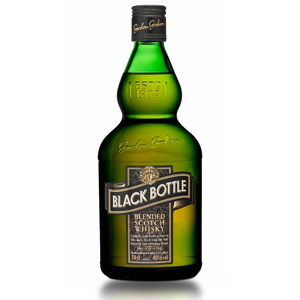 There seems to be an entire generation that still thinks this is the only Scotch brand that exists. I have a 96 yr old great uncle who has a dram of JW Black every night after dinner. He refuses to believe that a more suitable and exciting alternative could possibly be available to him. Of course, the readers on this site know better. We value non-tainted (unchillfiltered, no color added) options with a challenging and multi-dimensional flavor profile. That said, if you want to avoid being excluded from a conversation with typical scotch drinkers, or keep from being accused of being a scotch snob (has happened to me countless times), you want to know your JWs. Generally, they are all overpriced since someone has to pay for the jacked-up packaging and the marketing costs. This especially goes for anything north of Green on the price scale, i.e., Gold (my least favorite in the range as a result of the overly spirit-y arrival and finish), Platinum (I’ll have the single malt Clynelish instead, thank you very much) and of course the quite tasty but absurdly priced Blue. Rye Cask is nothing more than an icebreaker at the bar, “Hey buddy – have you tried the new JW?” At $30 – sure, I’d buy it, but not at $50 where Balvenie DW stomps all over this creative disappointment. PS. “…triplet specters …“ Love the prose even if I don’t love the whiskey! Thanks for the comment, DJ! I was thoroughly unimpressed with the JW Blue when I tried it. I was similarly unimpressed by the JW Double Black when I tried that. This Rye Cask is, in fact, the first time I’ve been pleasantly surprised by a ‘Walker. I think at $30 it’s a serious contender for a daily dram in the “blended scotch” category. At $45, it’s a little overpriced, I agree, as there are single malts in that range that are superior… although that’s becoming less true every year as malts continue to price-creep. Value is generally on the decline in many instances as a function of slightly slipping quality (showing strains on oak and age stock) and rapidly climbing pricing – aided by a “whisky press” that, as of late, questions very little the industry does. I mean, if Richard Paterson can float the idea that 12 bottles of Dalmore are worth a million pounds just by claiming they are and everyone just nods their heads well… and that was a rational battle lost years ago now (and unfought by many). JW Blue Label is decent enough, even holding its own against some mild aged single malt sippers, but its relative value is in the toilet at current price (not that, given the opportunity, the people selling you the alternatives wouldn’t do the same thing to you that Diageo is doing, but people use the selling points they have, depending upon the situation; virtue, like value, is a very relative thing). On that note, I’m not sure how it matters in what casks a whisky is aged when, according to the new orthodoxy, it doesn’t really matter how long it’s aged in those casks, but explaining the double/triplethink that goes into age statement/NAS/multivintaged/”wood managed” whiskies has proved impossible for the industry itself, so no one is going to do it here either (except to say that the ends of selling whisky justify the means of selling whisky). For all the people who “value non-tainted (unchillfiltered, no color added) options with a challenging and multi-dimensional flavor profile”, very few seem to know that age matters to whisky, or that they’re being flim-flamed by those who say it doesn’t, depending upon labeling. Unless people actually believe that age has no bearing on the quality/taste (that the age, regardless of what it is or what taste notes one values, could be doubled/cut in half without an effect on the product), they really should know better. I tried some of this last night at a local whiskey bar and wasn’t very impressed. I didn’t really get any rye spice, just oak tannins with an extremely dry finish. It tasted more like bourbon than scotch. I tried adding a bit of water to it and giving it some time but it never improved. I gave it to my wife and she poured it into a coke. It just goes to show how subjective our tastes can be. I would like to get your opinion on Cutty Sark Prohibition. I’m not a big blended scotch drinker but I’ve been more interested in it lately due to the prices of single malts going up. I took a chance on a bottle of the Prohibition and I must say I’m thoroughly impressed with it. Thanks for the review. Cheers! Thanks for the comment, Matt. I have Prohibition on my “try soon” list. Cheers! I LOVE JW Black, Green and the 18yo Gold (old edition) labels. The 10yo Rye Cask seemed like a very interesting drum to try. I was less than impressed with the Rye Cask. JW is running out of old stock of scotch supplies and they are moving to no age statement and younger whiskies such as the 10yo. Disappointing. I love rye whiskey and high percentage of rye bourbons, but it just does not work here. The VERY strong and bold rye flavor “masks” the delicate flavor of barley scotch. Bourbon does go well with Irish whiskey. Just try John L. Sullivan “Irish Bourbon” Whiskey. Bought a bottle of this recently based on your and some other’s favorable reviews. I had been wondering about this for some time after seeing it in a few stores, but it’s starting to disappear now. I bought the last bottle in a shop that I frequent occasionally, and tried it for the first time this evening. I do have to agree with some of the others’ comments that it tastes more like bourbon than Scotch. However, it’s still pretty good stuff. At the low to mid $30 price range that I paid for it, I’m happy with the purchase. At $45, I’d probably have trouble buying it again. Eventually got round to the JW Rye Cask. Found the rye rather muted in comparison to PrizeFight Rye Cask from Ireland which is a similar product. JW Rye is also darker – which suggests to me added caramel. The caramel ‘muddies’ the taste in my opinion. It’s not in bad company though. I was equally disappointed by the rich sweetness & muted rye of Lot 40. My preferences would be for a bolder ‘in yer face’ rye like Sagamore. Great to see the rye finish spread over the Eastern side of the Atlantic however. Whisky Nut, the Lot 40 is pure rye whiskey. I find it very bold and spicy, perhaps a bit too much sometimes and have to be in the mood for it. Admittedly I have been drinking the 2012 Edition but cannot imagine that the current iterations are all too different. 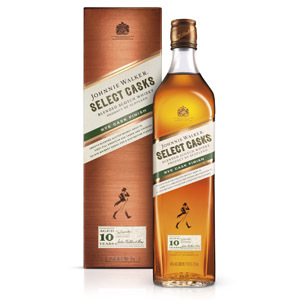 I’m no fan of JW Black Label but if I came across the JW Rye Cask for $30 I would certainly give it a try.